What uuuup G! In this podcast me and my hommies talk about the Game Developers Confrence, and all the awful $0.50 movies we watched while editing our newest video KUTARAGI'S WAY. We also talk about Metal Gear Soild 5: Ground Zeros. We also have a new sponser! 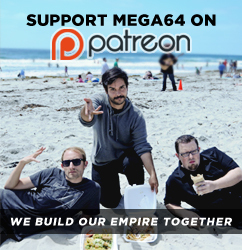 Loot Crate you can sign up using the coupon code "Mega64" Check it out!!! Listen to the podcast here! That's all for now, if you havent seen our newest video Kutaragi's Way, you should check it out!